The scientists at Nestle are striving hard on Plan B, a snack that can occupy the position of Maggi noodles that has been banned in India recently as it contains excessive amount of lead and for mislabeling as well. 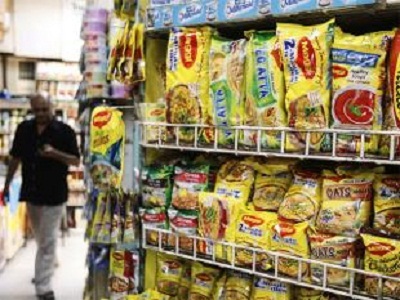 A couple of people familiar with the development have confirmed the same stated that there is no clarity on when Maggi noodles will be hitting back the retail shelves. Nestle is claimed to be working on alternate options of snacks as snacking as a great opportunity that Nestle is not interested to vacate. The firm already has an existing backend for the culinary business. The upcoming product could be a ready-to-eat or ready-to-cook snack option that will involve the re-launch of Maggi in a different format. It could take several months for Maggi noodles to return after obtaining the necessary clearances. A Nestle spokesperson stated that the firm is looking at the possible options to make sure that they are living up to the expectations of customers. It was further stated that the firm is working hard to resolve the existing situation and that it is aiming to enter the market as soon as possible. In accordance to the rigorous quality strategies and testing protocols, the firm is confident that it will come back soon to ensure the food safety as they always do, stated the spokesperson. The firm has a strong global R&D team working continuously on the product development category. Nestle’ spokesperson further revealed that they do more food testing than any other firm in the world. It has been stated that there are 100 million analyses every year for Nestle and 8,000 people work to ensure the quality and food safety in their products across the world. Maggi noodles is a high-stake brand for Nestle as it accounted for over Rs 2,000 crore sales and one third of the business for Nestle India. The firm has suspended the production in five plants in the country, but it is carrying out research on a priority basis at its laboratories. McDonald’s goes veggie in India, Why?